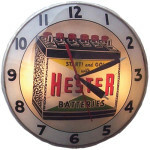 This antique GM sign is a rare vintage product. The sign is square with a flared top and pointed bottom. 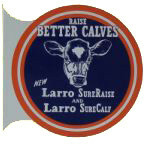 The sign has a black and white border and a blue interior background color. 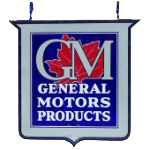 The two letters “GM” are featured large at the top followed by the text “General Motors Products” below in white lettering.